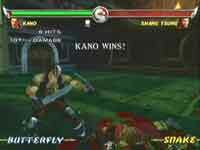 GameSpot revealed which is The Best Fighting Game of 2006. And Ultimate Mortal Kombat 3 has won the prise. The 12 years old game competed against Dead or Alive 4 (X360), Street Fighter Alpha 3 MAX (PSP), Tekken: Dark Resurrection (PSP) and The King of Fighters 2006 (PS2) and manages to prove that the Mortal Kombat games will always be one step ahead, even after such huge period of time. Our staff member Juggernaut finished his MK: Deadly Alliance Combo Video. Its 9 minutes with the best combos for the game, including new jump and 100% combos. It showed also new way for extra damage during the combos.  Its MKDA: Unleashed. Huge thanks to Shock for hosting it at UltimateMK.com. With Shang Tsung rumored dead, I had no further need of the Special Forces. And although I had an ally in Sub-Zero, I had no desire to join the Lin Kuei. I returned to Earthrealm, content to be a lone warrior once again. Guided by my ancestors' sword, I hunted the wicked, slaying those who would threaten the meek. In the dark, my blindness was an advantage. I struck unseen and toppled many criminal organizations from the safety of the night. As I fought against the underworld, I intercepted encrypted communications to Mavado from a secretive clan known as the Red Dragon. The messages revealed an elaborate plan designed to ensnare one man: an Edenian half-god named Taven. The Red Dragon were in a frenzy, and it seemed as though something very important was underway. Before I could determine the location of the Red Dragon base, however, I was met by a former ally, Johnny Cage. He believed that the fallen Elder God Shinnok had resurfaced and wanted to gather the Forces of Light to discuss a battle plan. I refused the invitation, not wanting to get involved in yet another pointless melee between "good" and "evil". I had my own agenda: bring down the Red Dragon and finish Mavado. Alone in the Botan Jungle, stalking Red Dragon scouts, I was overwhelmed by an intense psychic scream. I became aware of Taven and Daegon and their quest to slay the fire elemental, Blaze. My sword also heard the scream and pleaded with me to ally with the Forces of Light once more. I had received insight from my blade before, but this time it seemed drawn to kombat. It was as if I could feel the sword pulling me towards some epic clash. I will not deny its cry for blood. Though Johnny Cage is gather the Forces of Light, I will be the one to take them into battle. The lone warrior will become a leader of many. Yes, there is no mistake. The almost 12 years old classic Mortal Kombat game has been nominated for Best Fighting Game of 2006 by here. Does Ultimate Mortal Kombat 3 stand a chance against Dead or Alive 4 (X360), Street Fighter Alpha 3 MAX (PSP), Tekken: Dark Resurrection (PSP) and The King of Fighters 2006 (PS2)? It's up to you to decide. 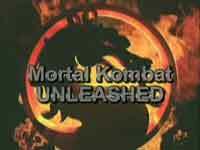 Click here and vote for Ultimate Mortal Kombat 3. After a couple of months of waiting Mortal Kombat: Armageddon has finally made it to the XBox 360 Backward Compatibility list. The emulation is not perfect but the game is fully playable.